Considering the proliferation of devices able to access a home WiFi network — tablets, smartphones, Internet radios, video game systems, and more — building a fast network able to handle copious amounts of bandwidth is a must. Other than your Internet Service Provider, your home wireless router plays the biggest role in ensuring every device enjoys the best possible performance. With a goal of building the best possible home network with superior high speed Internet; let’s take a closer look at the router. Dual band routers become possible with the introduction of the 802.11n wireless standard in 2009. This router design transmits Internet data in two frequencies simultaneously: 2.4 GHz and 5 GHz. The slower frequency is the older standard supported by most Internet capable devices, while the 5 GHz offers the extra bandwidth suitable for streaming movies and music with nary a hiccup. When using a dual band router, your home essentially has two separate networks. Most newer devices give you the option of connecting to either network. If you are using a device for basic Internet activity like email and Internet browsing, the 2.4 GHz network works great. The 5 GHz network offers superior performance for online gaming and media streaming. Many high-end routers offer management software that allows you to optimize the performance of your home network. Take the time to learn this software, so you can utilize certain features for the best possible bandwidth. For example, the Linksys EA6900 dual band router supports “Beamforming” which allows it to recognize specific devices on your network and boost the wireless signal to that device as needed. This is perfect if you encounter stuttering music or video dropouts even when an Internet speed test reveals good bandwidth. Simply tell your router to boost the signal to those devices having issues. Also, limiting the number of devices connected to the 5 GHz network on the router benefits overall performance; use that network only for gaming and media streaming. 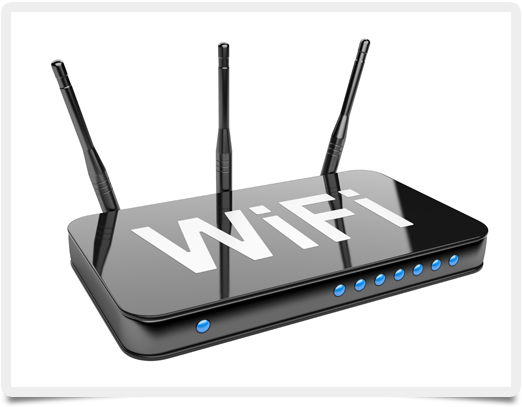 Even with a good Internet connection, investing in a dual band router and learning how to manage it properly helps improve your home WiFi network’s overall speed and bandwidth. In a house with many devices trying to share access to the same Internet service, this is probably the best way to keep everyone happy!